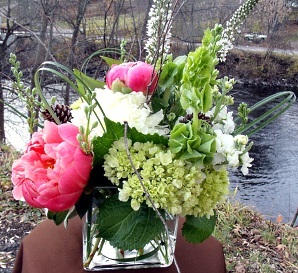 Rebecca's Florist and Country Store is a local full-service florist proudly serving the Chestertown, New York area. Our courteous staff is ready to assist you with placing orders for local delivery or anywhere in the world. Not sure what to send? We will gladly help you with creative suggestions. For your convenience, we offer daily delivery to all local funeral homes and hospitals, and we accept all major credit cards. 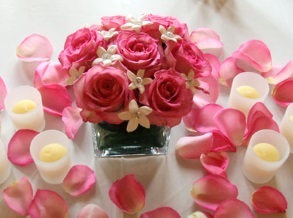 Let the talented design team at Rebecca's Florist and Country Store create all your unique floral arrangements. We offer traditional and contemporary design styles that are appropriate for all occasions… birthdays, get well, anniversaries, sympathy, holidays, receptions, special events or just because. 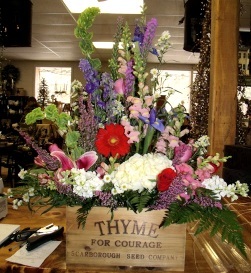 We're your Hometown Florist and Country Décor Gift Shop. Come by and see us! Enjoy the sweet aromas, comforting ambiance and browse the vast selection of hand picked items. No event is too big or too small. We deliver as far north as North River and as far south as Wilton. 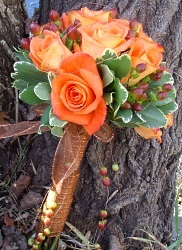 With Rebecca's designing the bouquets and floral arrangements, your special day is sure to be a blooming success!! Call us in advance at 518-623-2232 and make your appointment for a consultation. Let us help you choose funeral flowers that beautifully convey your expressions of sympathy and serve as a lovely memorial to the deceased. Call if you have a special request for a sympathy piece that’s out-of-the-ordinary. Our knowledgeable staff is available to discuss specific details that will be helpful when customizing a floral tribute to a departed friend or loved one. We also offer a variety of unique items, including rustic home decor, candles, silk floral arrangements, luxury bath products, greeting cards, fruit & gourmet gift baskets, plush stuffed animals and much more! We have Beautiful Handcrafted Primitive Décor, Aroma Candles, Braided Area Rugs, Amish Made Furniture, Soy Candles, Greeting Cards, Table Linens, Park Design Curtains, Flags, Potpourri, Timer Candles, Silks, Sign Boards, Honey, Asher's Candy, SallyeAnder Soaps "The Best Soap in America" Handmade using only natural ingredients, Ladies tops and handbags. Hats, scarves, Jewelry - Beautifully designed and expertly "Handcrafted" in the USA and lots of one of a kind items. Browse our assortment of dish gardens and green plants and blooming plants for a gift that adds life to any room, office or outdoor space. We also offer seasonal garden products in our Garden Mart, including: Spring - flats of annuals, flowering baskets and hanging baskets, decorative clay pots; Summer - outdoor lawn & garden decor; Fall - mum plants and Winter - Christmas wreaths and kissing balls.